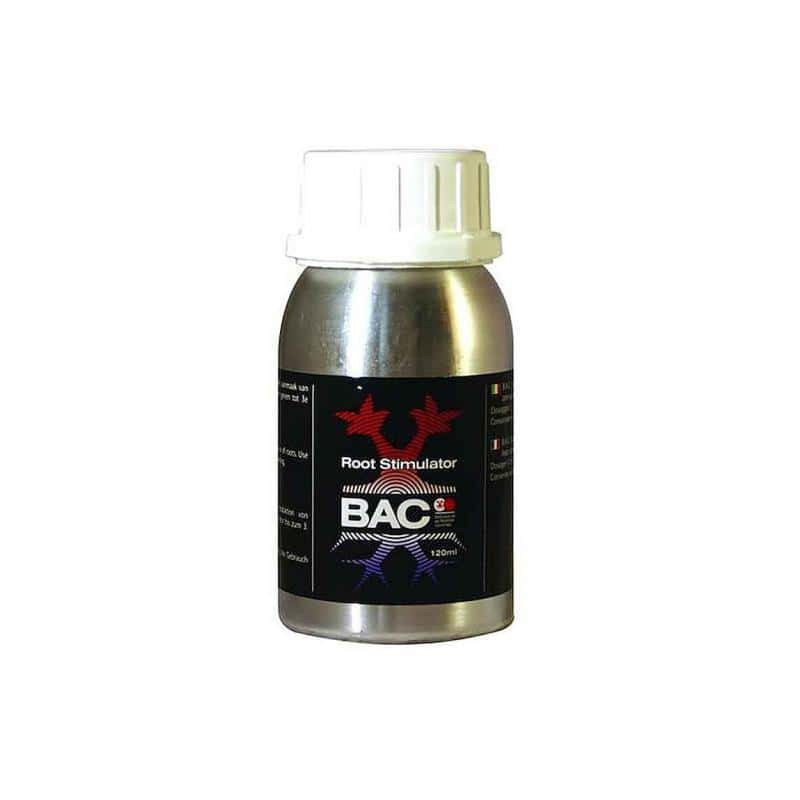 BAC Root Stimulator is a bio-stimulator fromd B.A.C. 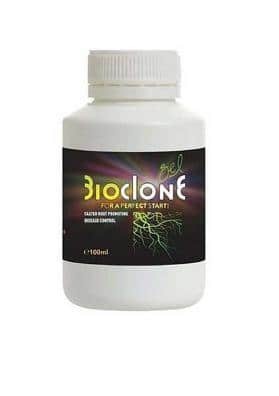 that promotes the development of the root system and protects it. Highly concentrated. BAC Root Stimulator is a root stimulator of organic origin that should be applied during the first weeks of cultivation. It yields a lot since due to its high concentration and liqui form. This booster was especially created for the development of the root system of the Cannabis plants. 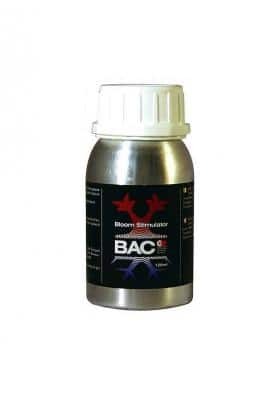 This biostimulator for from BAC is suitable for indoor and outdoor cultivations as well as for all kinds of substrates. 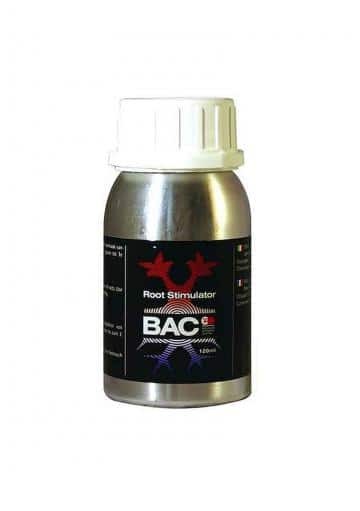 BAC Root Stimulator promotes the growth of healthy organisms within the root system, which are then visible in both growth and flowering phases. Besides that, is a booster of easy assimilation by the plants. This root booster also ensures a great protection of the root system byacting as a barrier against any disease that may arise in the substrate. 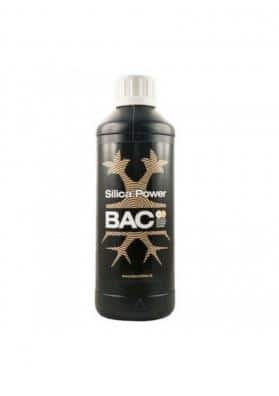 When applied on hydroponic systems, BAC Root Stimulator offers a cleaning effect of tubes and drippers. It also reduces the pH value of the nutrient solution, making the use of fertilizers to be more easy. Only use it during the first 3 weeks after seed germination. The amounts to be used are calculated for 10 liters of water (highly concentrated). Mix 2 ml for each 10 liters of water in the firs week, 1 ml for 10 liters in the second week and 2 ml in 10 liters in the third week. Use it in waterings. Use it only on waterings and never as a spray. Valid for hydroponic systems using the same dosage as referred above.